Inflation in the eurozone accelerated in April, returning to the European Central Bank (ECB)’s target. 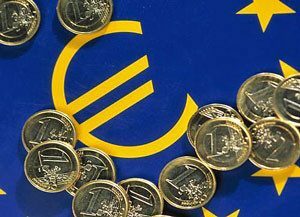 Initial estimates from Eurostat showed inflation in the bloc hit 1.9%. That was up from 1.5% in March, but just below February’s four-year high of 2%. The ECB aims for an inflation rate of below, but close to, 2%. On Thursday, ECB head Mario Draghi said the eurozone’s economic recovery was “increasingly solid” but inflation was not high enough to lift interest rates. Following its latest meeting, the ECB kept its main interest rate on hold at zero, and left its bond-buying stimulus scheme unchanged. The bond-buying programme has already been trimmed to 60bn euros (£51bn) a month from 80bn euros. However, there has been speculation that the ECB could scale back its stimulus measures if the eurozone’s economic recovery continues. The main factor behind April’s pick-up in inflation was rising energy prices. Core inflation – a measure that is watched closely by the ECB and which strips out energy and unprocessed food prices – rose to 1.2% in April from 0.8% in March. The core figure was stronger than expected, and its highest level since September 2013. However, Howard Archer, chief UK and European economist at IHS Markit, said the ECB was “highly unlikely” to read too much into April’s data “as it was clearly lifted by Easter timing distortions”. Separate figures from France showed that the country’s economic growth rate slowed in the first three months of the year. France’s economy grew by 0.3% in the quarter, down from a rate of 0.5% in the final three months of 2016. The slowdown was partly due to weak consumer spending, after unseasonably warm weather led to lower spending on clothes and heating bills. Shares in Barclays were the biggest fallers on the FTSE 100, despite the bank reporting a doubling of quarterly profits. Pre-tax profit for the first three months of the year jumped to £1.682bn, from £793m a year earlier. But analysts were disappointed by the performance of Barclays’ investment bank, and the shares fell 5%. Shortly before midday, the FTSE 100 index was down 19.80 points, or 0.3%, at 7,217.57. Shares in Royal Bank of Scotland were having a better day, rising 1.7%, after it reported its first quarterly profit since third quarter of 2015. RBS posted profits of £259m in the first three months of 2017, compared with a £968m loss a year earlier. Rising copper prices boosted shares in mining companies, with Antofagasta, BHP Billiton and Rio Tinto all up by more than 2%. In the FTSE 250, shares in transport group Stagecoach fell 3.25% after HSBC cut its rating on the company to “reduce” from “hold”. On the currency markets, the pound shrugged off weaker-than-forecast UK growth data. The UK grew by 0.3% in the first quarter of the year, according to an initial estimate, a sharper-than-expected slowdown from the 0.7% rate seen at the end of 2016. Despite this, the pound continued to rally against the US dollar, hitting a fresh seven-month high of $1.2951 at one point. However, sterling was lower against the euro, down 0.3% at 1.1837 euros. The euro was boosted by the latest set of eurozone inflation figures, which indicated that inflation in the 19-nation bloc rose to 1.9% in April. The UK economy grew by just 0.3% at the start of the year, the slowest growth rate since the first three months of 2016, according to official figures. The Office for National Statistics said that the slower pace in the January-to-March period was due mainly to the service sector, which sank to 0.3% growth against 0.8% at the end of 2016. In the last quarter of 2016, gross domestic product increased by 0.7%. Friday’s figure is a first estimate and could be revised in the coming months. Economists had been expecting GDP growth to slow as consumers reined back spending in the face of rising inflation, but they had pencilled in a higher figure of 0.4%. The ONS said that output in the construction sector was also dragging on GDP after expanding by 0.2% in the first three months of the year following 1% growth in the fourth quarter of 2016. Industrial production expanded by 0.3% over the period, with manufacturing increasing by 0.5% thanks to a jump in motor vehicle output, while agriculture growth eased to 0.3% in the first quarter from 1% in the final quarter of 2016. Consumers have been feeling the pinch since the beginning of 2017, with inflation sitting at its joint highest level for more than three years at 2.3% in March. 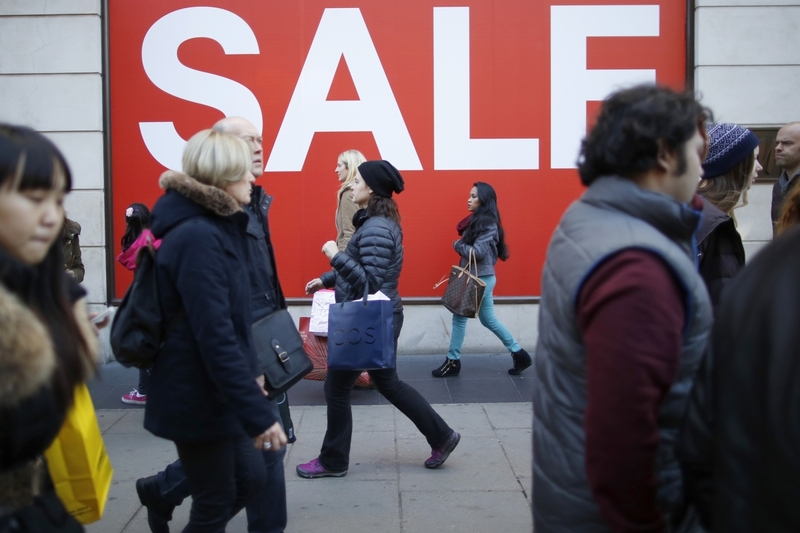 The squeeze on household spending power has led to weaker retail sales, which recorded their biggest fall for seven years in the three months to March. Nancy Curtin, chief investment officer at Close Brothers Asset Management, said the data would add to uncertainties. “With the General Election just around the corner and Brexit negotiations afoot, any dip in the economy risks bringing further caution and uncertainty to businesses, which has a knock-on effect when it comes to investment and employment. 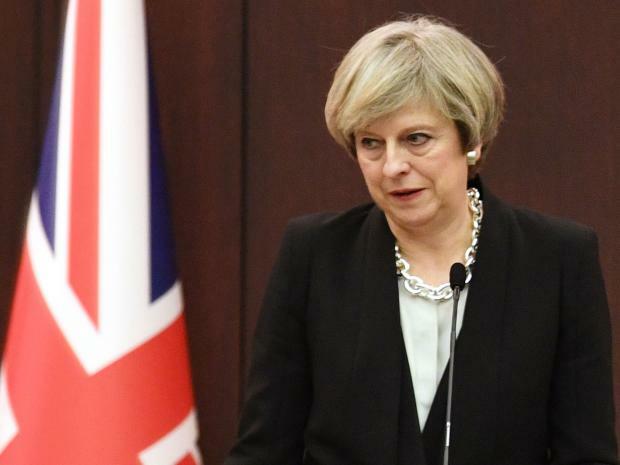 However the chancellor, with better than expected Budget tax receipts in his pocket, has room for manoeuvre and should be able to pre-empt any further slowdown which should help with business confidence,” she said. Suren Thiru, head of economics at the British Chambers of Commerce, said the data confirmed his group’s own survey that businesses were starting to feel the pressure. “It is increasingly likely that the slowdown in the first quarter is the start of a sustained period of more sluggish growth. Inflation is expected to continue to rise, increasing the squeeze on consumer spending power and firm’s profit margins, pushing growth lower,” he said. Despite the service sector slowdown, other economists pointed to more positive signs. The caution among consumers was underlined on Friday in separate figures from the British Bankers’ Association. These showed British banks approved the fewest mortgages in four months in March and consumer credit growth slowed. Banks approved 41,061 mortgages for house purchase last month, down from 42,247 in February, the BBA said. Annual consumer lending growth slowed to 6.1% from 6.5% in February, easing further from October’s 10-year high of 7.2%. Why Use First Call Teachers? As the recruitment process of well trained, good quality teaching staff can be time consuming and expensive recently many more schools and other education providers in the North East have been choosing to use specialist agencies such as First Call Teachers to help them fill vacant posts, especially if they are for a short or fixed term. As the use of agency staff means all relevant background and qualification checks have already been completed it is an ideal way get teachers into the classroom when they are really needed. Making sure that a school has adequate staff to keep the school running smoothly is a problem many head teachers face regularly so using an agency such as First Call Teachers is an excellent way to cover absences at short notice but still ensure that they get staff with the skill and expertise required for the role, with many established staff already on their books they are constantly recruiting new candidates for the many varied roles they fill within schools across the North East. At First Call Teachers they understand how important it is to maintain high teaching standards across the board and to meet legal child protection and safety standards, so to ensure that any staff that they provide will always be totally qualified for the job role required every candidate is carefully considered and fully background checked before they are even put forward for a job role. With staff available from a range of teaching backgrounds including primary, secondary and SEN at First Call Teachers they aim to match each individual role to someone with the perfect skill set for the job. With a wide range of available teaching jobs North East based agency First Call Teachers is the perfect way to find short or long term work within education. With roles available for fully qualified primary, secondary and SEN teachers and teaching assistants as well as early years and administration vacancies there is always a demand for high quality and qualified staff at short notice within schools and many available posts will be filled using agencies such as First Call due to the convenience of the service that they offer. Agency teaching is the perfect way for any recent graduate or anyone returning to teaching after a break to gain valuable experience to add to their CV and to gain confidence within the class room, it is also a really good choice for anyone who requires flexibility around their working hours for any reason. At First Call Teachers they recognise this and aim to offer every person that they sign on to their books all the individual help and support they need to get their career going in the direction they want it to take. With so many different forms of media available to advertise employment vacancies nowadays many people are finding hard to find the staff they need to fill roles quickly because their adverts aren’t always seen, this along with the time needed to read applications undertake interviews and back ground checks recruiting and retaining staff can be expensive and time consuming, by using an agency employees and employers are able to take advantage of their existing relationships with potential employers and recruiters, expert knowledge of advertising posts and ongoing recruitment process to find really good teaching staff that are available at short notice. By working with First Call Teachers not only will you have the advantage of working with an ethical, progressive supply agency who put ‘Quality Education’ at the centre of everything we do! You’ll also have exclusive access to a range or partnership services at a discounted and often fully subsidised cost including; Early Years Dance Classes and CPD from LP Dance in Education, Crafty Spanish classes and after school club solutions, and ArtVenturers after school club and creative days to name but a few! First Call Teachers are specialists in offering teaching jobs, they supply teachers and support staff, who are highly motivated and a day to day, long term or permanent job in a school. For further information, call them today on 0191 280 5849 or visit their website to review their current vacancies and teaching jobs in and across the North East. The FTSE 100 index of leading shares was up by a meagre eight points at 7,126.44. There was little corporate news to move share prices, though Reckitt Benckiser led the fallers and was down 2% after reporting flat first quarter sales. Miners were represented among the major winners – who included Rio Tinto, Marks and Spencer, Ashtead Group, BHP Billiton, and Glencore. Meanwhile, other fallers included Burberry, United Utilities, Centrica and Severn Trent. The pound was unchanged against the dollar at $1.284. Against the euro the pound was down 0.08% at 1.1948 euros. UK retail sales posted their biggest quarterly fall in seven years in March, as the prices of everyday goods continued to climb. Sales were down 1.4% on the preceding quarter, and down 1.8% compared with February 2017, according to the Office for National Statistics (ONS). In the quarter, sales volumes fell in all types of shop except those selling textiles, clothing and footwear. But the total amount spent was still higher than a year ago. Kate Davies, senior statistician at the ONS, said: “This is the first time we’ve seen a quarterly decline since 2013, and it seems to be a consequence of price increases across a whole range of sectors.” The ONS said average store prices had increased by 3.3% on the year, the highest growth since March 2012. The largest contribution came from petrol stations, where prices were up by some 16.4% on the year. Keith Richardson, managing director of retail at Lloyds Bank Commercial Banking, said that after record growth in 2016, the retail sector was slowing down. Chris Williamson, chief business economist at IHS Markit, said the trend appeared to have continued into the second quarter. “The latest IHS survey data showed the amount of cash that households had available to spend fell in April to the greatest extent for two and a half years,” he added. “Spending was supported by households eating further into their savings and taking on more debt [which] is clearly unsustainable in the long run”. There were some bright spots in the ONS figures, with textiles, clothing and footwear sales increasing by 6.5% year-on-year in the quarter. Online sales also continued to rise, climbing 19.5% in the 12 months to March and up 0.5% compared with February 2017. Looking to Replace your Old Gas Boiler? If you have an old or inefficient gas boiler you may find that getting a new combi boiler installed has more advantages than you may first think, along with providing you and your family with reliable heating and hot water you will also find you use up to 30% less energy, helping you to save money and reduce the impact that your home has on the environment. Having a combi boiler installed in your home is a really worthwhile investment if you are looking for ways to add value to your property or just looking for ways to reduce your costs in the future, not only will you find having a brand new boiler requires less energy to run it will also be able to maintain a far even temperature within your home far more efficiently, reducing the need for your to keep turning up the thermostat. If you are considering getting a new boiler you might want to take a look at the excellent range of combi boilers that they have at Arktek Heating, with some of the latest and most energy efficient models of boilers available on the market on offer and a wide choice of models to choose from you can be certain that they will be able to help you find a boiler that is really well suited to your property. With a friendly and knowledgeable team of fully trained professional plumbing engineers at Arktek Heating they are real experts in gas boiler replacements so will be able to offer you all the help and advice that you require to make sure that you get the boiler that is most suited to you and your family’s needs, and with all boilers being provided by carefully selected manufacturers you can be sure that no matter what boiler you choose it will be made to the highest possible quality. 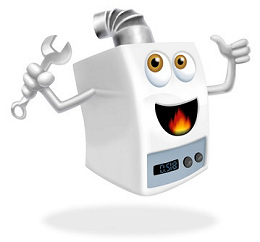 At Arktek Heating they aim to make sure that every customer is left totally happy with the service they have received, so make sure that you are well informed and completely happy at every stage, starting from when you receive your first free of charge consultation right up until your boiler reaches the end of its life, with a twenty four hour call out service and a range of warranties ranging from 2-10 years you can be certain that if you ever do have any problems they will be on hand to help. Having a new combi boiler installed can save you hundreds of pounds a year in energy bills and may actually cost your far less that you think, at Arktek Heating it is possible to get a brand new combi boiler fully installed for around £1630 which is a very small cost when you think how much money you will save in the future and how much more comfortable your home will be with reliable heating, plus you will have the advantage of having reliable hot water and heat exactly when you need it and many other modern features that are available on many models. For further information about the range of replacement gas boilers available or the landlord emergency repair and maintenance services, please call 0191 516 6911 or visit the Arktek Heating Services website. We will be in touch with you as soon as possible. Nearly half (46%) of British businesses discovered at least one cyber security breach or attack in the past year, a government survey has indicated. That proportion rose to two-thirds among medium and large companies. 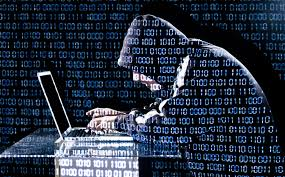 Most often, these breaches involved fraudulent emails being sent to staff or security issues relating to viruses, spyware or malware. The survey was completed by 1,500 UK businesses and included 30 in-depth interviews. The government said a “sizeable proportion” of the businesses still did not have “basic protections” in place. While many had enacted rudimentary technical controls, only one-third had a formal policy covering cyber security risks. Less than a third (29%) had assigned a specific board member to be responsible for cyber security. The chancellor has admitted for the first time that the government is prepared to sell its stake in Royal Bank of Scotland (RBS) at a loss. The Treasury bailed out the bank by buying a 72% stake for £45bn, at 502p a share, at the height of the financial crisis in 2008. Shares in the loss-making lender are now trading at less than half that price at 223p. Mr Hammond has previously said the government did not expect to offload its stake in RBS until after 2020. It is understood that the Treasury will only start to sell its shares in RBS when “legacy” issues have been resolved. Those issues include a potentially huge fine by the US Department of Justice, which is pursuing the bank over the sale of mortgage-backed securities before the financial crisis. In February, RBS posted its ninth consecutive annual loss, with much of the £7bn accounted for by setting aside £5.9bn for fines and legal costs. The bank has racked up losses of more than £50bn since the government bailout. Chief executive Ross McEwan said in Feburary he expected RBS to return to profit by the end of 2018. When one-off charges were stripped out, the core business of the bank was making money, he added. The European Commission is examining government proposals that aim to spare RBS from being forced to sell off the Williams & Glyn branch network.